When it comes to choosing the right safety footwear, it can be a bit of a struggle; with so many different varieties out there it can be hard knowing which style is for you. 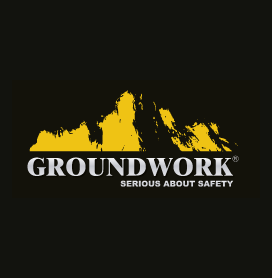 Shop our range of Groundwork safety shoes below for a guaranteed winner. Groundwork are a trusted brand that Shoe Zone love; we can't rave about them enough and we know you'll agree. They will fulfil all your safety footwear requirements and all our styles comply with BS EN345 safety regulations, so you know you are getting excellent quality and optimum protection for your feet. Available for both men and women, Groundwork boots come with a flexible, study leather upper, and essential steel toe cap on an oil- and slip-resistant grip sole. Their quality shines through when working in hazardous situations, as their protective build and non-slip sole helps you get the job done. It's important that your feet feel completely comfortable so there is a padded collar and a warm lining that will do just the job and the best bit is, they look super stylish too! Result! Let us put a spring into your working step, check out our fantastic range of Groundwork boots in-store and online today. Head to our respective men's safety footwear and women's safety footwear sections to find more choice on safety shoes and boots. We also have a wide range of other designs and styles from top brands for you to shop, ranging from trainers to heels to slippers. With free & fast delivery on all UK orders, what are you waiting for? 6 products from £2.99 to £29.99.